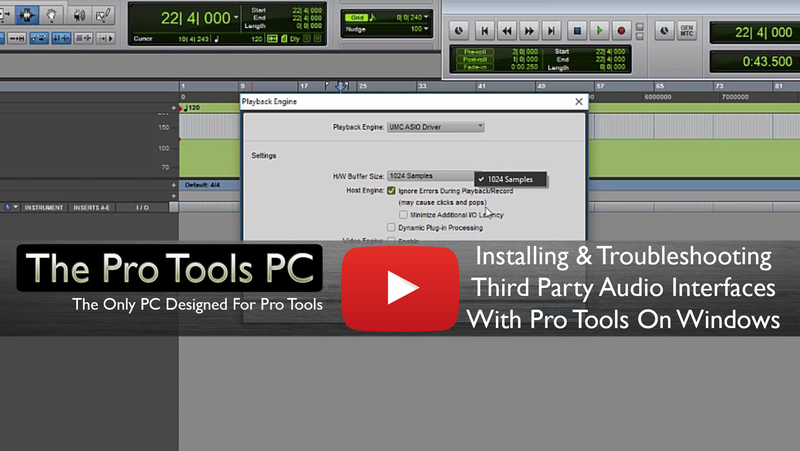 Using third party audio interfaces with Pro Tools on Windows is incredibly popular these days, Hooking them up is easy but configuring them correctly requires a little inside knowledge that you will not find printed in the manual. In our long experience supporting Pro Tools users with the Windows operating system this (unknowingly to the user) has been the number one cause to many people's problems, It's not an obvious fix and we are seeing more and more people on forums and user groups not taking it into consideration when setting up their systems so we decided to cover it in this tutorial. If you are experiencing Pro Tools being slow when starting up, complaining about sample rate issues or you are getting random weird playback problems & error messages this one is for you. Be sure to leave us a comment below and if you want more of this kind of content delivered straight to your email inbox sign up for our mailing list right here. Posted in Audio Interfaces, Free Support, Hardware, System Maintenance, Tech Support, Tutorials and tagged 3rd, Audio, Avid, Interface, Party, Pro Tools, Soundcard, Third, Troubleshooting, Windows.